This recipe can be for meat-eaters and vegetarians alike. In this blog, we have talked much about the benefits of ashitaba. From now on, I will be sharing some exciting recipes that will meet a wide interpretation of “a healthy meal” containing ashitaba, so you will learn a lot further on how to include ashitaba in your diet. To begin our journey, we will start with Tuna with Ashitaba in Walnut Sauce. This is a mild and tasty dish that can be offered to healthy eaters and those pesco-vegetarians like me. So get ready to broaden your culinary horizons and experiment with new entrées by trying more to make meals with ashitaba. Wash ashitaba leaves and cut each tomorrow leaf to the length of 2 to 3cm. Boil the leaves and once done, squeeze out excess water. 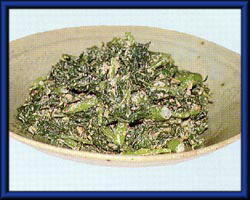 Toss the boiled ashitaba leaves to a mortar and together with the walnuts, chop them finely and season with soy sauce and sugar. 4.Open the two cans of tuna. Lightly squeeze the oil. 5. Add in mayonnaise and a little of soy sauce. 6. Serve to plate with lime wedges and rice. Tuna with Ashitaba in Walnut Sauce is a great dish when you’re always on-the-go. You can prepare this easily for busy mornings, quick lunch and for a low-calorie dinner. If you have it in the office, you can re-heat the food and don’t be surprised when your colleagues stop by to see what smells so good. Everything in tuna works for me. 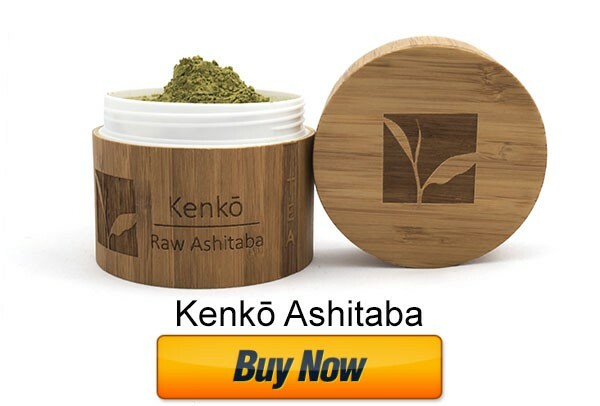 Ashitaba is aired in Jessica Soho awhile ago, telling about this herb. It's good that media people are opening doors for herbal stuff nowadays. Ashitaba in Walnut Sauce looks like a really healthy dish especially on the positive things I read about Ashitaba here. healthy and easy to prepare! That's the ideal combo we all deserve. Like it with tuna, this recipe can give new twist for its taste. It can be cooked with any fish. Experimenting is always fun. I'll show this recipe to my husband. He enjoys cooking for us, that is why. I'll recommend this recipe to my father who eats ashitaba every morning. I hope he'll find this recipe delicious! This looks really appetizing! I could eat Ashitaba if cooked like this. 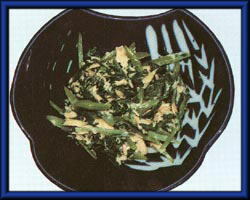 Anything that my mom cooks is good, even bitter-tasting vegetables like ashitaba. With a twist, you can make recipes interesting. Trying different ways to cook it is good.